Embrace your creative side and knit or crochet something beautiful with this wonderful collection of Yarns Discover yarn in a rainbow of hues so you can create an endless variety of wearable projects. Beginners and experts alike can unleash their imaginations! Plus there is a free pattern available along with the large variety of yarns. 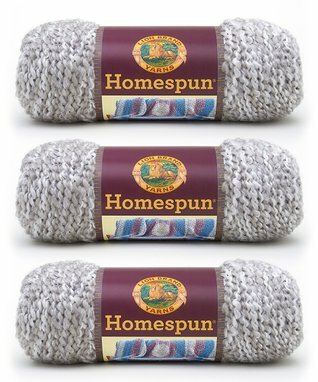 Several Lion Brand Varieties of yarn in packages of 3 skeins each for a discounted price. Find More Yarn on Sale Here!